Music City’s newest boutique property oozes hometown pride, said Lizzy Alfs in The Tennessean. 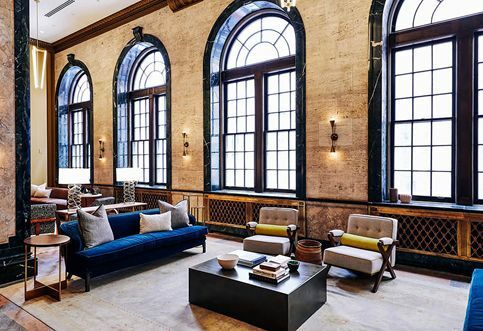 Housed in a grand 12-story building that was once the Noel Place hotel, the Noelle has reconnected with the building’s Art Deco origins with the help of a team of local designers, architects, and artists. Restored terrazzo floors and engraved wood ceilings adorn the common spaces, and the 224 rooms are painted in clean white and navy blue. Local creativity is also on display at the hotel’s Keep Shop, where guests can buy wares crafted by Nashville artisans. Through March, the Napa River Inn in downtown Napa, Calif., is offering guests $100 in dining credit to use at any of four nearby restaurants. With the “Dinner’s on Us” package, rooms at the historic inn start at $269. South African Airways Vacations is taking 10 percent off select 2018 packages when you book by Feb. 28. The 10-day Affordable Cape and Safari Break tour now starts at $3,060 a person, double occupancy, including round-trip airfare. Save $200 on an eight-night trip to Australia with Down Under Answers. The Sydney and Cairns package includes round-trip airfare and starts at $1,769 a person, double occupancy, for departures April through July. Book by March 30.